Movement is the latest release from Monstrum Sepsis and the full length follow-up to 2003's Deep Sea Creatures. With this release, Monstrum Sepsis has ventured into uncharted territory by delivering a more sonically upbeat album with a heavier emphasis placed on melody. Movement does have MS's signature blend of noise and driving bass lines but this release will appeal more to fans of Warp Records and their standouts, Autechre, B12 and Boards of Canada. 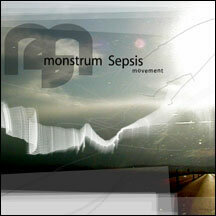 Look for Monstrum Sepsis to hit the road in April to support the release of Movement.